Eye: A brooding, flaming amber. Nose: Smooth, a fresh bouquet with notes of lime tree and vanilla. Palate: A light mouth, with candied fruit notes. A balance of a young Cognac and the round body of a matured brandy. Dive into the undeniable finesse and elegance of a Fine Champagne Cognac with the Audry Napoléon Cognac. An impeccable blend containing 50% of Grande Champagne eaux-de-vie, and 50% of Petite Champagne. These two premium terroirs have developed a reputation for producing exceptionally fine Cognacs, thanks to the high content in chalk in the soil. Its limestone subsoil and geological origins extend back millions of years, when seashells were fossilized during the Jurassic Period. Combined with its maritime climate, the soil possesses excellent drainage, and vineyards are optimally located on hillsides. With perfect exposure to the sun, and optimal soil composition, Cognacs such as the Audry Napoléon from the Fine Champagne are typically floral and light, and this one in particular is the perfect introduction to Cognacs from a fine pair of crus. As a Napoléon Cognac, the youngest eaux-de-vie in the blend has been aged for at least 10 years. Typically, Fine Champagne Cognacs take longer to mature and spend a longer period developing in Limousin oak barrels. The philosophy behind this Cognac is that the perfect blend is a balance between the bouquet of the grapes, the tannins from the oak of the cask, and the oxidation from the cellar. 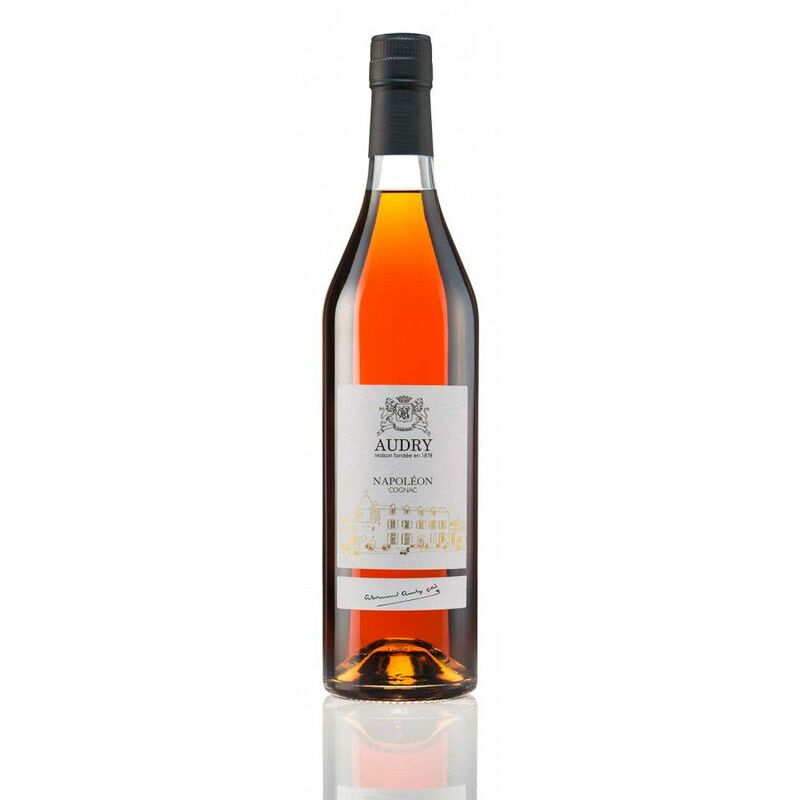 Audry Cognac are somewhat traditional in their approach to Cognac production, by offering such precious nectar in limited quantities. Fondly referred to as “the best Cognac you’ve never heard of” by Time Magazine, Audry Cognac have received much praise for their fantastic Fine Champagne Cognacs and dedication to balance. Distilled in copper alambic Charentais stills, the ‘swan’s neck’ pipe is designed to extract the bouquet from the grapes to give it its aromatic quality, and to respect the characteristics of the terroir. The wood of the oak barrels also plays a significant role. The oak is porous and allows for a marriage to take place between the wood and spirit; the tannin permeates slowly, and the all-important oxidation process takes place over time. Time is key with a Audry Fine Champagne Cognac, and once the eaux-de-vie have been blended by the Master Blender, they are left for two years before bottling. Enjoy this Fine Champagne Cognac neat or over ice. We adore the classic yet stylish presentation of this Cognac. A classic Cognac bottle, the labeling clearly denotes the crest and the Cognac house, but with a beautiful gold-etched sketch of the estate. Likewise, the bottle is a sleek tangerine color, and will look exquisite on display.